Local Democratic club leaders across California gathered Friday on the first night of the 2018 State Convention to elect a new set of officers to the organization that founded the modern day Democratic Party in California. The vote of the California Democratic Council (CDC) concluded with the election of Hillary Crosby, the immediate past Controller of the State Democratic Party, as the new President alongside a slate of club activists from Fresno, Yolo, Tulare, Contra Costa, Santa Clara, San Diego, and Los Angeles Counties. As a chartered statewide organization, the CDC maintains independence from the California Democratic Party (CDP) and, by contrast, is comprised primarily of members of chartered, neighborhood Democratic clubs with no delegates appointed to the CDC by any statewide or legislative politicians. This is in contrast to the CDP where almost a third of the voting delegates are appointed and directed by Democratic elected officials and candidates. The majority of new progressive activists who joined the party in 2017 continue to call on the state party leaders to eliminate or reduce the proportion of these appointed members. 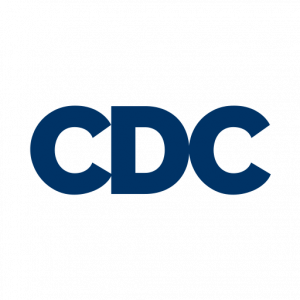 The CDC precedes the Democratic Party in California as one of the state’s oldest progressive organizations and was a force that built significant opposition to the U.S. War in Vietnam in the 1960s and 70s. Its focus on local involvement led to what many refer to as the pinnacle of grassroots citizen-led politics with the 1958 election of the state’s first democratic majority since the new deal; an election that included future U.S. Senator Alan Cranston. The CDC has not been without its own challenges. The outgoing officers shared revelations about the organization’s financial stability and difficulty keeping accurate records of organizations and club rosters.